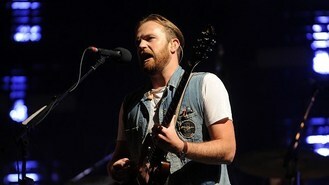 Kings Of Leon ruled the charts this week as their latest album went straight in at number one. The American rockers' sixth album Mechanical Bull is the latest hit for the Grammy award-winning band and their fourth number one album in the UK. This week's top 10 was awash with new entries including Canadian rapper Drake's Nothing Was The Same at number two, his highest scoring album to date. The UK's own Jessie J went straight in at number three with Alive while American pop singer Jason Derulo's Tattoos was at five and teen songstress Birdy's second album Fire Within debuted in eighth place. Last week's number one, Arctic Monkeys' AM, slid down to fourth position. Veteran rock star Sting also returns to the charts today with his first solo album in a decade - The Last Ship - entering at number 14. There were no new entries in the top 10 singles chart, with Derulo remaining in the top spot with Talk Dirty and Katy Perry's power pop record Roar still at number two. One Republic's Counting Stars, Drake's Hold On We're Going Home and Avicii's You Make Me completed the top five. Demi Lovato's Skyscraper heads up this week's highest climbers, soaring 46 places to number 13 and its highest chart position to date following X Factor contestant Hannah Sheares' rendition on the ITV show. Ricky Gervais has revealed the dates that he will be performing as his character David Brent in the cringey boss' band Foregone Conclusion. Nicola Roberts is said to be writing material for Cheryl Cole's upcoming album. Justin Timberlake showed he was the consummate entertainer as he brought his funk-filled show to the iTunes Festival. John Legend took time out from wedded bliss to get back to work and entertain crowds. Jessie J has joked that she could fit all her stage outfits in a handbag - because they are tiny. Chocolate by indie-rockers The 1975 has been voted the best track from the 100 most played songs on Radio 1 from the last five years.